One of the most prominent structures on Mars are shield volcanos. 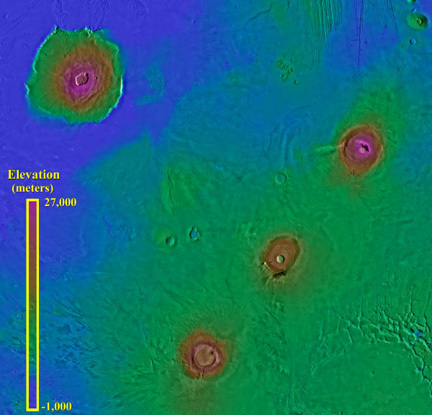 The Tharsis volcanos are easily recognizable even from a global view (Figure 6.1) . 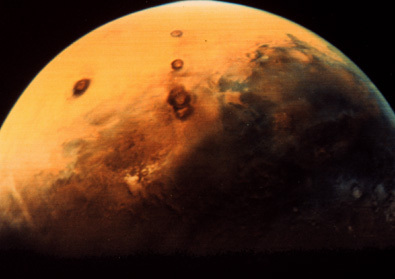 Tharsis is a region on Mars that consists of 12 large volcanos and many smaller ones (Figure 6.2) . This photo shows the four most prominent volcanos on the Tharsis region. 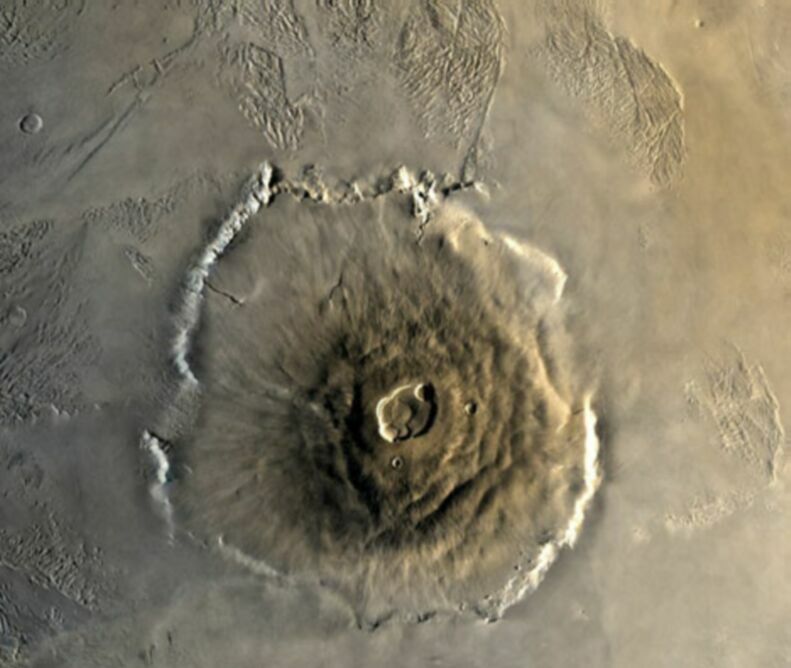 The largest volcano in this region and on Mars is the Olympus Mons (Figure 6.3). It is a circular structure about 550 km in diameter (This single volcano would span across the entire Hawaiian island chain). It rises about 25 km from the surrounding plain. Such a vertical relief is greater than the distance from the top of the Himalayas to the bottom of the Mariana Trench, which is only about 22 km. A caldera formed at the summit of this volcano (Figure 6.4). This is an artist's sketch of the caldera peeking through the Martian clouds. This caldera was not a vent of magma eruption. Instead, it appears to represent a depression produced by the collapse of the surface when magma was withdrawn from the magma chamber underneath after eruptions. Like all shield volcanos on Earth, it has a gentle slope as seen from this reconstructed three-dimensional view (Figure 6.5) . The base of the Olympus Mons can form a steep cliff several kilometers high. Originally, the volcano was probably graded smoothly onto the surrounding plain. Subsequent slumping produced the cliffs. Continued slumping caused the cliff to recede towards the summit. In some areas, younger lava flows flooded over the scarp and reestablished a smooth profile at the base. 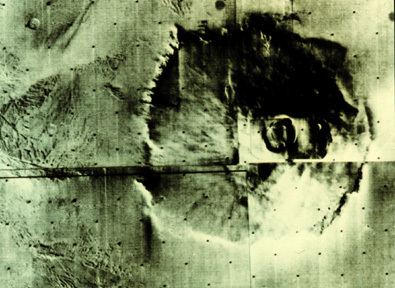 Figure 6.6 is a more recent view of the Olympus Mons taken by the Mars Global Surveyor in September 1998.